Anna, photographed by Henry O’Shea, Limerick (c. 1878). The Parnell sisters are exemplars of two distinct and typical streams of female action in the nineteenth century. Fanny excelled in the traditional field of philanthropic and fund-raising activities, and as a ‘poetess’, all considered suitable occupations for middle class ladies, while Anna was far more radical and militant than was conventionally acceptable. While both were convinced of the need for women to play an active role in the political sphere, it was Anna who would blaze a trail for those who were not prepared to accept boundaries between male and female modes of action. It is hard to identify where Fanny and Anna Parnell found the inspiration for their shared political life. Their father, John, and his family belonged to the Protestant Anglo-Irish landed gentry—Fanny was to speak of being ‘brought up amongst Anglo-Irish Tories…with my mind filled with bluest Tory principles’. Their grandfather, William, had, however, been an exception to the norm, writing novels and pamphlets attacking English injustice against Irish Catholics, and, as MP for Wicklow from 1817 to 1820, he supported Catholic Emancipation. Anna wrote of his ‘courageous fidelity to principle’ and his courage in standing alone in the society of his day, both qualities which were to re-emerge in Anna herself, but his influence, if any, was indirect, as he died before the sisters were born. The children spent their early life at Avondale, the family estate in County Wicklow. They were allowed to roam widely, and although Wicklow was not badly hit by the Famine and the Parnells were reasonably good landlords, the girls must have heard horrific tales of the suffering elsewhere in the country. Anna wrote later that ‘even to persons who were not in existence when they occurred, the horrors of those years had a vividness almost as great as actual experiences of them could produce’, and Fanny’s descriptions in poetry and prose of the results of eviction echo accounts from the Famine years. The Parnell children’s formal education was minimal, but they had access to the family library, and Fanny, according to her brother, John Howard, had a literary bent from an early age, and ‘knew every book in the library’. He also claimed that she showed her patriotism young, always insisting, when playing toy soldiers with Charles, that her soldiers, not his, should be the Irish army. When John Parnell died in 1859 the girls moved to Dublin with their mother, Delia. It has been suggested that it was Delia, American-born, from an influential, highly politicised Boston family, who was the source of the anti-British, republican ideas of the young Parnells. She certainly is documented as expressing strong anti-English attitudes, and American politics were discussed in the household, but Delia was first and foremost a socialite, not a political thinker, and there is little evidence that she had any direct influence on her children’s political attitudes. However, her passion for entertaining meant that the sisters met a wide range of people of different political persuasions. Although firmly anchored in Castle society, Delia invited a variety of guests to her social gatherings, and was rumoured to have Fenian sympathies, and to have helped American Fenian prisoners to escape after the 1865 arrests. She is known, too, to have received regularly a large number of newspapers, American, English and Irish, and Fanny and Anna read avidly. Fanny is documented, again by her brother, as being at this stage an ‘arch rebel’, and already a ‘blue-stocking poetess’—she published her poems in the Fenian paper, the Irish People, from the age of fifteen. Anna was a good painter, and she, too, wrote poetry. Both sisters were to continue to use these talents in their later lives, Fanny in her public life, Anna after she had withdrawn in disillusionment from the political field and was living as a recluse in Cornwall. Delia’s lack of interest in her children’s education, combined with her American background, allowed her daughters more independence than was usual for well brought up young women in Europe. Dubliners were shocked to see the Parnell girls in the streets unaccompanied—and there is an echo of this even in Anna’s Land League days, when Katherine Tynan expressed surprise that Anna was not afraid to walk home from meetings after midnight unaccompanied. In 1865, when Fanny was seventeen and Anna thirteen, the family moved to Paris to live with Delia’s rich brother, on the Champs Elysées. It was time to find Fanny a husband, and the girls were soon integrated into the wealthy, expatriate American society to which Delia felt she belonged. Fanny appeared to enjoy it fully, and she even took part briefly in the London ‘season’ in 1868. There are reports of her being pretty, sociable and lively, and she was expected to make a good marriage. Their mother, Delia Tudor Stewart Parnell (1864). She must, however, still have been an ‘arch-rebel’, as on one of her visits to Dublin she attended the trial of O’Donovan Rossa. John Howard accompanied her: ‘Fanny could hardly restrain her tears and I think pictured herself as the next occupant of the dock’. She must also have been less enamoured of the social whirl than appeared. In 1873, needing money after the crash of her uncle’s fortunes, she wrote articles for the expatriate newspaper, the American Register, describing the social scene. Entertaining and light-hearted in character—’Hints to a Young Lady on Marriage’, ‘Evil Speaking’, ‘Reflections of a Wallflower’—they were also a scathing indictment of what she saw as a cynical marriage market. In fact, neither Fanny nor Anna were to marry. Little is known about Anna’s reactions to Paris society, but an account of her attitudes when living in Wicklow gives a clear indication of how she must have viewed it. The writer talks of her ‘febrile energy’, and tells the story of how she came to reject her closest friends in Avondale, daughters of a local miller, because of their acceptance of traditional attitudes towards women—’the mental inferiority to which women were condemned by ecclesiastical authority was accepted as a matter of course by the miller’s pleasant daughters, but it galled Miss Anna and chilled her sympathy for them’. As soon as Anna reached an age when she could begin to make independent decisions about her life, a clear divergence in the attitudes of the two sisters towards conventional society began to appear. Fanny remained within the society she despised, criticising it only in her writing. Anna rejected it entirely and moved away. In 1870 she left her mother and sister in Paris and returned to Dublin to lead a separate life as an art student. Fanny and Delia were still in Paris when the Franco-Prussian war broke out. They promptly joined the American Ladies’ Committee, and became active not only in the traditional caring field of preparing bandages and nursing the wounded, but also in fund-raising, setting up a hospital and organising the purchasing and storing of supplies. It was an active commitment, calling for stamina and good organisational skills, but in a conventional sphere, and typical of the mainstream of women’s active philanthropic work in the nineteenth century. In 1874 Delia’s brother died, and she and Fanny left Paris to return to the family estate in New Jersey, where Fanny’s political career was to begin. Both sisters were still highly politicised, and the ideal of a free Ireland was to remain constant for both of them throughout their lives, although expressed in diverging ways. Anna moved to London in 1875, to continue her art studies. In the same year her brother, Charles, became MP for Meath and went to Westminster. Anna spent much time in the Ladies’ Gallery listening to debates, and later chronicled the period in an entertaining but biting pamphlet, How They Do in the House of Commons; Notes from the Ladies’ Cage. The sisters came together again in 1879, when Anna moved to America to join Fanny in raising funds for famine relief and organising Charles’s first American tour. Their efficiency was praised by many of their colleagues, including Michael Davitt, who called Fanny ‘a practical as well as a poetical reformer’. However, the sisters were not equally impressed by the men. Both Fanny and Anna were highly critical of the inefficiency of the Land League offices in Dublin, where their (male) colleagues frequently failed to acknowledge American donations, and were even thought to be directing funds to the wrong recipients. Both sisters also criticised the organisers of Charles’s tour, particularly John Dillon, for inefficiency. Tim Healy wrote home with apprehension of Anna’s biting comments: ‘I would not like to repeat Miss Parnell’s comments on Dillon…I shall be the next victim if anything goes wrong’. Whereas Anna was considered difficult and abrasive by her male colleagues, Fanny does not seem to have acquired this image—she continued to be seen as ‘feminine’, and obviously posed no serious threat to their confidence. Photographs taken in 1878 (p37) show the contrast between the sisters at this period. Fanny, is making the most of her femininity. She has been photographed in a fashionable ‘mid-western’ outfit, wearing a large and flattering hat and in an appealing,, not to say coy, pose. Anna, in Plate 2, is making no concessions to the photographer. She is wearing an everyday walking costume, has taken off her very ordinary hat, and her body language is defensive, suggesting that she is only in the studio under sufferance. No wonder the two women were perceived so differently. During this year the sisters not only organised the Land League offices in New York, but wrote ceaselessly to the papers in support of the League, their brother and his party. Fanny also continued to publish patriotic verse, full of emotional and often violent nationalist fervour. Anna’s letters and pamphlets, written in an analytical, ironic and apparently dispassionate style, reveal an aspect of her character that was completely missing in Fanny’s, an awareness and bitter resentment of the universal perception of women as inferior beings, and of the low status of middle-class women within their families. In 1880 Anna moved back to Ireland. Fanny, still in America, continued her fund-raising activities, and, hoping that by mobilising the women of the Irish community a ‘much needed stimulus would be given to the men’, she founded the American Ladies’ Land League. And it was she who, in a letter to The Nation on 1 January 1881, first made the suggestion that the women of Ireland should form a similar league, which would be able to take over the struggle if the men were arrested and sent to prison—though it seems likely that her idea of its role would have been closer to that of the male Land Leaguers, the traditional raising and distribution of funds and the support of those in distress, than to the Ladies’ Land League as her sister was to envisage it. It was nevertheless still as a poet that she was best known. Her patriotic verse, anti-British in the extreme, was being published not only in America and Ireland but throughout the Irish expatriate world and she was fast becoming a cult figure, to the extent that lockets containing her hair could be found on sale in Ireland. The propaganda success of her poetry was such that at the trial of Charles Parnell and the other leaders in 1881 her ‘Hold the Harvest’ (below) was quoted as evidence that the League was inciting the populace to violence. Despite the violence of her poetry, however, with its apparent call to arms and the blood sacrifice, Fanny herself was in favour of moral rather than physical force and was a supporter of Home Rule. Anna was less moderate. In 1881 Charles and the other Irish Leaguers, realising that imprisonment was imminent, took Fanny’s advice and invited Anna to set up a Ladies’ Land League. They intended the ladies to perform a holding operation until they were released, and were more than a little disconcerted when Anna and her team proceeded to struggle single-mindedly to accomplish the aims which the men had already begun to consider unachievable. Anna used the talent for organisation that she and Fanny had already shown in America to re-organise the inefficient central office in Dublin. Like Fanny in America, she set up branches nation-wide. Here, however, the resemblance ended. Anna’s League was not merely a fund-raising organisation but a militant force. She trained rural women to come out of their homes and play an active role in withholding rent, boycotting, and resisting eviction. When resistance failed she organised the provision of temporary housing and support for those evicted. She also provided support for Land League prisoners and their families. The women of the League faced hostility on all sides, from government forces, the church, the press, and probably, indeed, from most of their contemporaries, but Michael Davitt was to say in The Fall of Feudalism in Ireland (1904): ‘Everything recommended, attempted, or done in the way of defeating the ordinary law and asserting the unwritten law of the League…was more systematically carried out under the direction of the ladies’ executive than by its predecessor’. But their success had its disadvantages. Anna’s methods were exceedingly expensive and funds were running low. Rural violence had increased to such an extent that the British government began to panic. Irish politicians began to see the activities of the women as a danger to their long-term plans. Finally, as part of the Kilmainham Treaty, Charles Parnell agreed to do away with the League. In 1882 it was dissolved. Anna never again had any communication with her brother. In the same year, Fanny died of a heart attack. Her death coincided with the running down of the League and Anna was shattered, suffered a breakdown, and is thought to have attempted suicide. She retreated to England and spent the rest of her life in Cornwall, living in poverty under an assumed name, emerging only occasionally to give political support to Inghinidhe na hÉireann, and once, in 1907, to speak for a Sinn Féin candidate in a by-election. In 1904 she wrote her own account of what happened in 1881-1882, The Tale of a Great Sham, expressing her bitterness against the hypocrisy of the male Leaguers, who had encouraged the women to take on a job they, the men, had already decided was impossible. However, she was by now a marginalised figure and could not find a publisher for her work—the manuscript was lost for many years and not published until 1986. Anna became increasingly disillusioned, unhappy and reclusive. She died in a swimming accident in Cornwall in 1911, but because of her assumed name her death went unnoticed. In Fanny’s case it had been very different. Roy Foster tells of how Irish-Americans mourned her: ‘It became a habit in Boston to make a pilgrimage to Fanny’s grave on Memorial Day, with speeches, floral tributes, and a general demonstration of grief…Her influence and inspiration were of a unique type during her lifetime; she remained a cult figure after her death.’ Her poetry was still to be found in anthologies in the early twentieth century. The image of Fanny that has come down in nationalist history is, according to Côté, that of a ‘nervous and highly-strung poetess quivering with patriotic emotion’, a ‘passive and drooping female figure, weeping for the injustice and hardship she was powerless to change’. This was the sort of heroine nineteenth-century society appreciated, and the image stuck, but it is far from the truth. Fanny was, indeed, ‘nervous and highly-strung’, but she never allowed this to interfere with her organisational work. She was a devoted patriot, and much of her poetry certainly ‘quivered with patriotic emotion’, but the poet herself knew exactly what she was doing when writing, and was an intelligent manipulator of other people’s emotions in the cause of Irish freedom. ‘Passive and drooping’ she was not. Fanny was a woman of her time and class, prepared to stay within the confines of convention, but her active influence on Irish circles in America was enormous, and she worked hard and effectively to raise the money necessary for the fight against ‘injustice and hardship’. 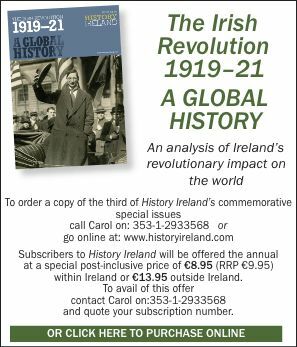 Even if, unlike her sister, she did feel powerless to change the situation herself, as she claims in her poem, ‘Ireland, Mother’ (p.39), it was to a large extent her action in the fields of propaganda and fund-raising that made the fight possible. Although Anna’s appearance had fitted the nineteenth century mould —Katherine Tynan called her ‘the very embodiment…of a delicate, austere lady, just verging on spinsterhood’—her character had always been very different. With woman colleagues she showed charm, gentleness and a sense of humour, as well as single-minded courage and determination, but others perceived her differently. Shy and reserved, she frequently gave an impression of aloofness. Intolerant of inefficiency, openly showing her resentment of male unwillingness to treat women as equals, she was accused of arrogance. What is more, unlike her sister, she saw nothing wrong in the use of physical force to further the nationalist cause. In a century when women were above all expected to be ‘womanly’, she had many of the attributes of mind and character that have traditionally been thought of as male. Andrew Kettle, one of Charles’s aides, wrote long after her death, in The Material of Victory, that she had a better knowledge of the lights and shades of Irish peasant life, of the real economic conditions of the country, and of the social and political forces which had to be acted upon to work out the freedom of Ireland than any person, man or woman, (he had) ever met…Anna Parnell would have worked the Land League revolution to a much better conclusion than her great brother. In her fight for a free Ireland she had come to function in a totally different sphere from that of her sister and had become a modern, militant woman activist. But this was not what the nineteenth century wanted of a woman. When she disappeared from politics her male colleagues must have given a sigh of relief, and society quickly forgot her. Social attitudes have now reversed. Anna has taken over the role of heroine for our times, and Fanny has been moved to the sidelines. In a way one can see that these Parnell sisters mark a watershed for women in the political sphere. Both were equally effective activists in their different ways, both were probably equally important to the work of the Land League, and the two types of female action they represent continued into the twentieth century. Times were, however, changing. The traditional philanthropic middle class woman, of which Fanny was an outstanding example, did not disappear, but it is Anna, prepared to challenge authority, break down barriers between male and female spheres of public life, and pave the way for radical change, who speaks to us most clearly today. Danae O’Regan is a post-graduate student of Irish Studies at Bath College of Higher Education. J.McL. Côté, Fanny and Anna Parnell: Ireland’s Patriot Sisters (London 1991). R.F. Foster, Charles Stewart Parnell: The Man and His Family (Sussex 1979). D. Hearne (ed. ), The Tale of a Great Sham (Dublin 1986).